A Powerful Stock Market Move Is Immediately Ahead! The Trump election is the catalyst, but leading stock charts look like they are about to go parabolic. This is my opinion based on the way powerful stocks peak after extraordinary long term gains. Monies are moving from bonds to stocks. Investors who have been accepting less than stellar gains with an apathetic attitude are beginning to make changes. This change in investor psychology is likely to lead to an acceptance of greater risk leading to extreme valuations and ultimately a giant market top. This change may occur over as short a period as 4 to 6 months. If you are late in making the needed changes or if you do not have a plan for risk control your financial future may be much more difficult than it should be. My suggestion is to find money managers with excellent track records who manage a relatively small amount of investment capital as compared to large firms. Larger advisors may not be able to move quickly enough to keep your assets in the strongest sectors while maintaining daily risk control on each asset you own. If your advisor simply executes an asset allocation plan and rebalances each quarter you are unlikely to have competitive results. Advisor’s Capital Investments Inc. (ACI) is seeking top performing advisors who meet the qualifications described above. The Disciplined Equity Growth Portfolio is doing well this year and is expected to perform well in the coming months but it is not in the top performers category yet. Abarus Management LLC.— Abacus uses Artificial Intelligence Neural Networks (ANN). Their top strategy is up over 33% so far this year. Ask us about his long term performance including the maximum draw downs throughout its history. Of course past performance is no guaranty of future results. Over any given time period investors may experience loss instead of gain. You should examine the results over a longer time period including maximum draw down, especially in a difficult market environment. These advisors may not offer services appropriate for all investors. Suitability and minimum account requirements are key considerations. Artificial Intelligence management is crushing buy and hold investing. One PhD of finance, Cliff Asness discovered this market beating phenomenon in 1994 while completing his thesis at the University of Chicago. Today he has one of the fastest growing hedge funds amassing $42 billion in only 13 years. Other AI managers have annual returns far surpassing Warren Buffet, Carl Icahn and David Tepper. Ed Sakata turned $5000 into over $15 million in only 15 years. (300,000%). Michael Marcus turned $30000 into $80 million. (266,000%). John Henry became a billionaire and now owns a stake in the Red Sox. Recently an amazing story was told in a Bloomberg news article about Rennaisance Capital’s Medallion Fund charging their employees 5% fee plus 44% of profits while delivering unheard of returns using AI. Check it out at: https://www.bloomberg.com/news/articles/2016-11-21/how-renaissance-s-medallion-fund-became-finance-s-blackest-box. This blog was originally posted on 11/29/2016. Today as of January 11th 2017, I believe the stock market rally has a long way to run both in price and in time. Leading stocks with earnings momentum are experiencing an increased rate of change. I believe the pace of this increase will increase and then peak in late March or early April. I base this expectation based on history and the work of W.D. Gann. This is my opinion only. 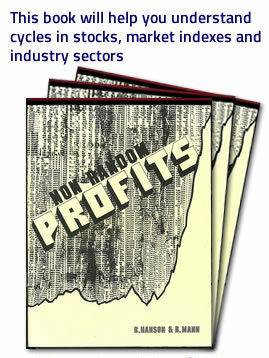 I would encourage you to read my study entitled, “Non Random Profits”. From this work you may find information relating to long term stock and industry sector cycles. This material is for informational purposes only. It is not investment advice. Readers should determine their suitability for any matters discussed herein. Interested in setting up a time to talk with Bob, check his schedule here. I am truly thankful to the owner of this web page who has shared this fantastic piece of writing at at this place.